The conference is designed to explore the symbolic economy of five kinds of involuntary ‘displacedness’ / ‘somewhere-else-ness’: emigration, exile, inner emigration, life in specposelenie and concentration-camp incarceration, – as part of a broader interest in self-reflection of litterateurs. We suggest focussing on the regimes of responsibility and mutual sympathy, as invested in two types of texts produced by émigré, exiled etc. 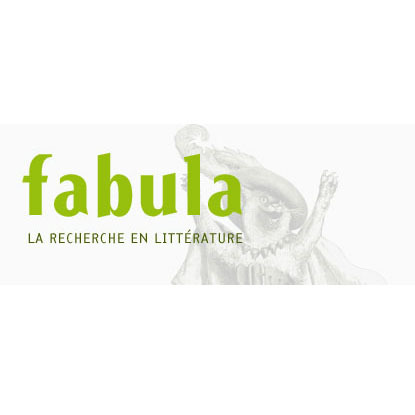 litterateurs (and in particular – writers): ego-documents and texts within their respective professional “majors” (fiction, historiography, journalism, philosophical or juridical treatises etc.). We believe that viewing the mentioned kinds of situations and communities as liminal (in the framework of large-scale societies) could be heuristic. We suggest addressing 17th – 20th century developments that occurred in or were related to Russia, but comparative works are also welcome. For the sake of coherence of discussions, the language of communication shall be Russian. Presentations in English, French and Polish are also possible but would be admitted only if accompanied by written Russian-language translation (to be used for handouts). Scheduling of parallel sessions shall be avoided. The prospective participants are invited to send paper proposals (between 2.000 and 3.000 characters long, to indicate subject matter, method(s), preliminary hypothesis and relevance to the conference concept note [see: here below or https://sites.google.com/site/locusconscientiae/mestosoznanie2018; https://sites.google.com/site/locusconscientiae/mestosoznanie2018_ru], and be supplemented by reference list of 3 to 10 titles) for 20-minutes presentations to conference.siberia2018@gmail.com, with a copy to any of these personal emails: yljuckanov@gmail.com (Yordan Lyutskanov), amedvedev2017@gmail.com (Alexander Medvedev), ggiuliano@unisa.it (Giuseppina Giuliano), l.lutevici@uw.edu.pl (Ludmiła Łucewicz) till 15 May. Authors shall be notified of (non)acceptance (to be decided upon blind evaluation by members of the scholarly committee [here below or https://sites.google.com/site/locusconscientiae/mestosoznanie2018]) between 10 and 15 June. The registration fee of 35 EUR / 2450 RUB is to be paid in ways to be specified later. Post-conference articles shall be expected by 1 January 2019 (a tentative term); basing on quality and thematic criteria, selections of them shall be submitted for publication in journals indexed in Scopus / Web of Science / ERIH PLUS / ESCI / Index Copernicus International. The title could have been “Emigration, exile, inner emigration, specposelenija: political economy of responsibility and mutual sympathy”, but we paid tribute to literary tradition and genius loci. The basic intuition behind this call for papers is that emigration, exile, inner emigration, deportation-and-‘enclavement’ based on ethnicity, and concentration-camp incarceration are variants of a single experiential condition; that of involuntary being somewhere else, of ‘altrove’, ‘инонаходимость’. We suggest viewing that condition of ‘displacedness’ as liminal; as either communitarian or societal liminality in the framework of large-scale societies. Making a step further, we suggest viewing the condition as one of ‘ludic liminality’, whereby the agency within a cruel ‘agon’ is shared between the ‘displaced’ and the ‘displacing’ much as between a protagonist and an author – even when, as in case of emigration, the ‘displaced’ possess political legitimacy. Basing on fragmentary observations on emigration, we hypothesise that the main assets in the symbolic economy of ‘displaced’ communities and individuals are responsibility and mutual sympathy, invested in their ‘internal’ and ‘external’ life respectively; the main ‘external’ ‘interactor’ being the hosting community/society. We believe that divergence in life-strategies – (auto)therapy vs. (auto)destruction vs. adaptation (accommodation) vs. assimilation vs. salvation – modify that economy differently. Being dependent on our belonging to the field of Russian studies, we find Russian seventeenth to twentieth century rich in relevant material; the epoch of Stalinism is unprecedented in displaying all mentioned forms of displacement (exile, emigration, inner emigration, specposelenija, concentration-camp incarceration). Making our proposal from the domain of literary studies, we suggest focussing on the testimony of literary texts (but also of texts by other kinds of litterateurs within their ‘majors’: works in history by historians etc.) and of ego-documents (esp. ego-documents produced by litterateurs). With the latter accent we make manifest the non-accidental interest of our small research group in self-reflection and self-reflexivity in literature and literary studies; an interest that can be concretised, given the present conference topic, to the question: whether litterateurs realise/recognise/confess their own responsibility in large-scale social and political changes and how does such awareness/acknowledgement influence their prospective behaviour? Basing on our awareness of the state of affairs in a cluster of scholarly fields potentially gravitating towards the field of Russian literary studies, we are especially concerned by bridging the gap between studying emigration and other kinds of involuntary ‘инонаходимость’; and by viewing the various national experiences of displacedness related to Russia and USSR in comparison and in their contacts (a well known example being the contacts between exiled Poles and Georgians in Caucasus); theoretically relevant glimpses into history of ‘displaced’ communities from states and territories neighbouring to Russia are also welcome (a less known example than the previous being Bulgarian – Armenian symbolical exchange after well known events of 1895-96 and 1915). The conference shall be held in Tobolsk: the town which hosted the headquarters of the Exile Office in the nineteenth century; where communities of Swedish prisoners of war and Polish exiles dwelled; and where the last Tsar and his family spent months in a condition of liminality, or spent the larger portion of a sui generis rite of passage. Holding the conference in 2018, we invite to memorising such emblematic experiences of liminality and self-reflection as the movement/campaign of Czechoslovak Legion through/in Russia and the collection of articles De profundis. We dedicate it to the memory of Alexander Solzhenitsyn (1918-2008) and Ivan Pushchin (1798-1859).